With more than half the BBL 2018-19 season already done and dusted, both the Sydney Sixers and Melbourne Renegades find themselves with four wins out of eight games as they try and wrestle a play-off place out of each others reach. With the SCG hosting another Sixers match, the Renegades will be wary of their bowling which bundled them out for just 99 in their previous encounter. Both teams will be looking to pull away with a precious win in what should be an entertaining match between two well balanced sides. Justin Avendano's injury just before the toss saw Jack Edwards take his place for the match against the Scorchers. He should continue to open the batting with Daniel Hughes. Ben Manenti had a debut worth remembering when he picked up two crucial wickets in the reverse fixture at the Docklands and will be hoping for more of the same. The team looks fairly settled with their lower order also contributing in crucial stages. Possible XI: Edwards, Hughes, Vince, Henriques (C), Silk, Phillipe(WK), Curran, Abbott, O'Keefe, Dwarshius and Manenti. Despite having some of the best allrounders in their possession, the Renegades' inconsistent form would be worrying them with their batting regularly capitulating cheaply. Marcus Harris and Tom Cooper have to take responsibility and build the innings constructively for the likes of Mohammed Nabi and Daniel Christian to provide the X-Factor towards the end. Kane Richardson is back and should play instead of Joe Mennie who was expensive in their previous game. Possible XI: Harvey, Harris, Harper(WK), Cooper(C), Nabi, Webster, Christian, Wildermuth, Richardson, Gurney and Boyce. Wicket-keeper: Both wicket-keepers have been in great form of late but considering their relative positions, Sam Harper is more reliable option to go for. The highly rated wicket-keeper was adjudged man of the match in two of his last three matches and would be crucial to the Renegades' fortunes on Wednesday. Batsmen: James Vince had a decent outing on Sunday and would hoping for an even better performance as he takes to the field against the Renegades. Along with the Englishman, the likes of Daniel Hughes, Marcus Harris and Mackenzie Harvey are also viable options to go for considering recent form and their ability to score big runs. Mackenzie Harvey hasn't been able to convert his starts at the top of the order and will be hoping for a longer stay at the crease. All-rounders: Mohammed Nabi, Daniel Christian and Tom Curran are the ideal set of all-rounders to be chosen with all three superstars having fairly successful BBL seasons so far. Nabi and Christian have been handy in all three facets whereas Tom Curran has been sensational with the new ball and also in the death overs. All three of them are highly rated and should be preferred over other batsmen or bowlers. Bowlers: Steve O'Keefe has picked up 13 wickets this season which is a league high along with Rashid Khan. He is one to keep an eye along with fellow Sixers' teammate Sean Abbott. Adding to his death bowling prowess, his faultless fielding also results in handy points that could be crucial in deciding the fate of fantasy contests. Kane Richardson is back for the Renegades and should be backed right away. Captain: Marcus Harris has had a relatively good summer with some good performances in the recently concluded test series against India. He is one player who has been consistent throughout his BBL career whether it was for the Scorchers or the Renegades. James Vince and Mohammed Nabi are also fair options with the latter likely to open the bowling against Daniel Hughes to negate the left hander. 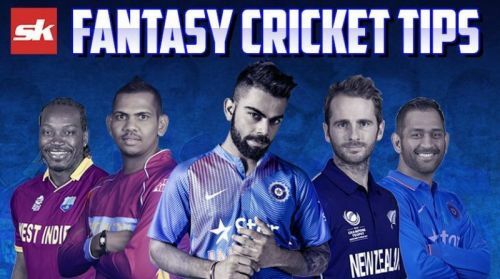 Fantasy Suggestion #1: Sam Harper(WK), Daniel Hughes, Marcus Harris, Tom Cooper, James Vince, Daniel Christian, Tom Curran, Harry Gurney, Kane Richardson, Sean Abbott and Steve O'Keefe. Captain: Marcus Harris.